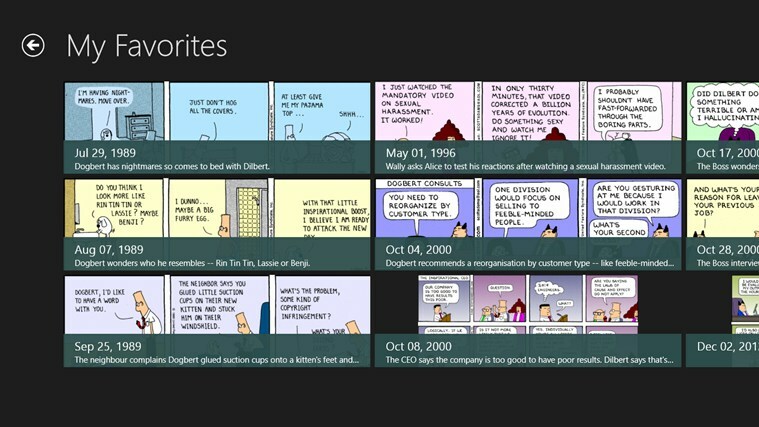 The Modern Dilbert Reader is the first app I have submitted to the Windows 8 App Store. It leverages the complete archives of Dilbert from Dilbert.com as well as the Dilbert Strip Index by Byron F. Martin to provide for Search Charm functionality. Check it out at the Windows Store! 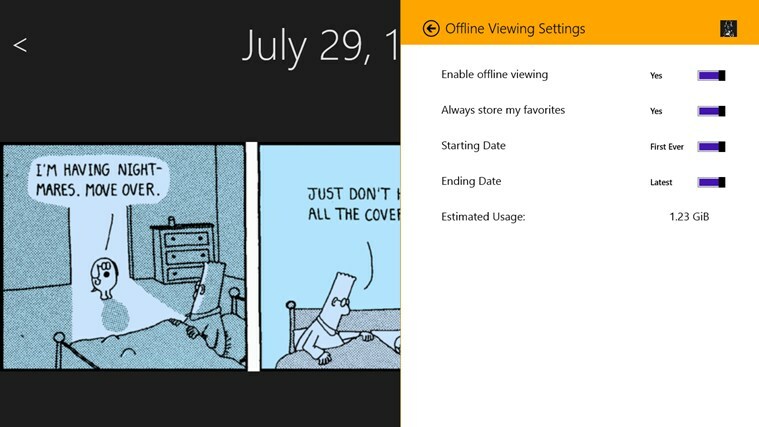 The Modern Dilbert Reader app doesn’t submit any information to me – all of the data that it tracks, it tracks with your Microsoft account. So, whether it’s storing your strip reading history or the most recent strip you’ve viewed, that data all belongs to you. It supports touch navigation as well as mouse-based. If you have comments to leave about the app, please leave them here. I am working my way through all Dilbert comics from day 1. Unfortunately, I cannot get past July 5, 1991. The app doesn’t actually crash, it just minimizes without displaying anything. I suspect the comic is corrupt in some way. I am using the latest app on Windows 8.1 with the latest updates. Do you have any suggestions on how to fix this. Otherwise the app is great.